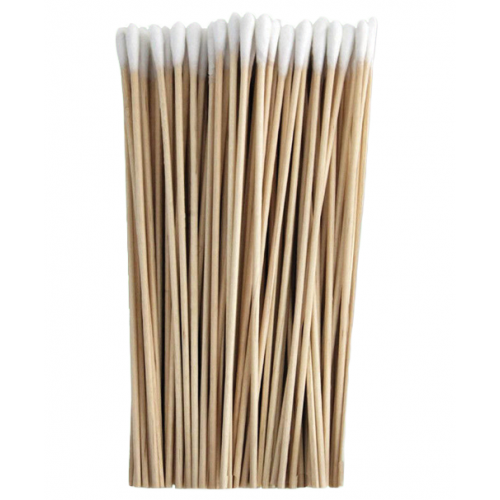 Curity Q-tips 6 Inch Cotton Tipped Applicators are Single tipped wood Stick Applicators. The 6 Applicator is ideal for cleaning hard to reach places. If used for collecting cultures, these soft, absorbent tips are just right for the job. 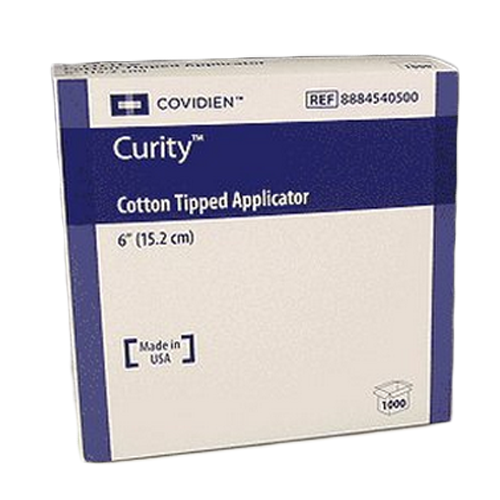 The Curity Q-tips 6" Cotton Tipped Applicator can be used for trachea cleaning, applying an ointment and several other purposes. Versatility is practically the definition of the Kendall Q-tips 6" Cotton Tipped Applicators. Not What's Pictured, Not Individually Packed! I did not receive the applicators described in the product description. Apparently, Kendall was sold to COVIDIEN and that is the brand you will get. These are more like the product listed as Kendall Q-Tips Cotton Tip Applicators $6.80. That product would be a better option, since it allows you to buy sterile ones, but the price is not the best. Apart from the brand, the box of 1000 comes as 10 packs of 100 applicators and not in a box of packs with two applicators per pack. I called customer service and was told the pictures used to describe products are generic. I strongly suggest you to call and place an order through the phone, when in doubt, as I will be doing from now on. Vitality Medical has some of the best prices, I just wish they will update their images to reflect what they are selling! I did not receive the correct Q-tip applicatiors that were ordered. There is a huge difference in quality between the brand Q-tip and the generic ones I received. What really erks me is that I was charged for the advertised brand Q-tips and received the generic brand. Disappointed. The poduct is wxactly what my gandmom needed. I am not the one to complaint but I do feel it is important in this case. I have Great Danes and have used these Q-tips for cleaning ears. I usually buy in bulk and relied on this product for years. The quality of the most recent purchase is disappointing. I get tiny splinters from the wood. I tried one after another and all are not smooth. I am afraid to use them on my dogs. 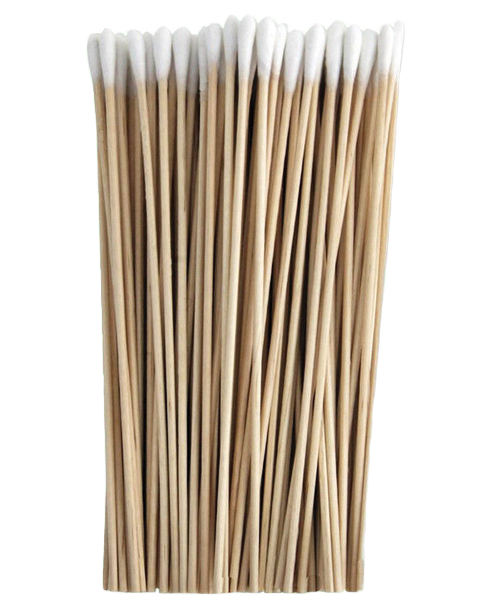 I have used these Q tips for years! They were delivered as promised. I use the applicators daily. Due to surrgeries and radiation treatments resulting from cancer, they are the only means with which I can clean certain parts of my mouth. I buy them by the truckload! Now, I am able to clean any wound with Kendall Q-tips Cotton Tipped Applicator. I am even able to clean the hard reachable areas. Furthermore, it is hypoallergic product because it is made from cotton. I recommend this product to anyone.